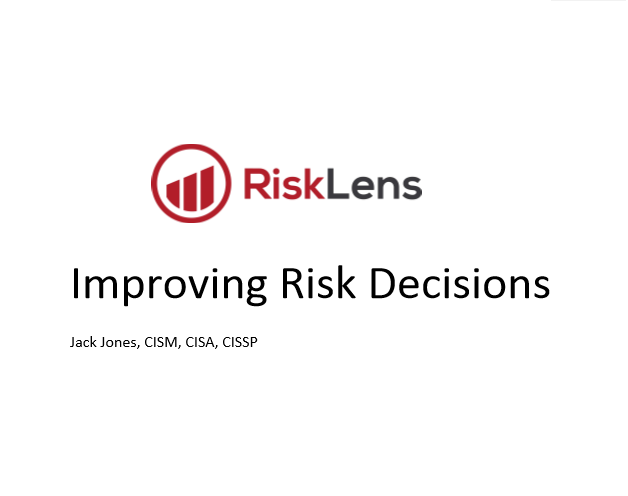 This white paper has been shared courtesy of RiskLens. Making decisions without adequate information, on the other hand, generally results in spending on the wrong things, spending too much, or not spending enough. This article will provide insight into the factors that drive risk decisions, the role of business management and security experts in decision making, as well as the information that’s necessary in order to make well-informed risk decisions.